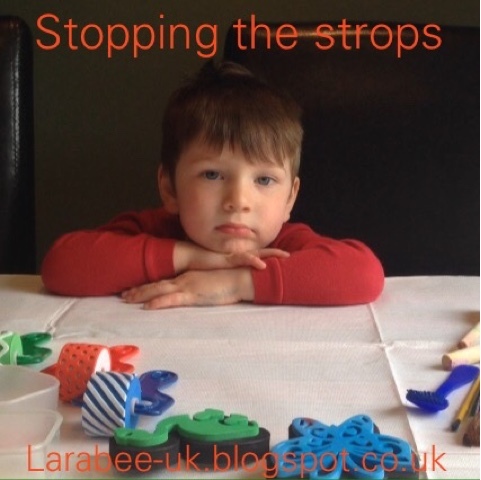 It's no secret that we're going through some rather challenging temper tantrums at the moment, before we left for our weeks break at Bluestone they had really come to a head which prompted my post 10 great reasons to throw a wobbly. We were having at least one a day. Before we left I saw an article going round Facebook called 'well done, you broke your child' reading this article broke my heart, and whilst by no means could we ever be compared to the individuals in this article, it did make me stop and consider the bigger picture. We are fortunate enough to have a bright 'spirited' child, he has his own opinions, he's independent and most of the time, yes he's a bit of a smart arse, questioning everything, so I asked myself, why are we trying to suppress that? The answer was that I didn't really know, to get out the door quicker, so we could have a few minutes peace, so other people didn't judge, there were many small reasons but no real reason, like he was going to endanger himself or it would make him ill or it would restrict his development. Did it really matter if T wore what he wanted, not what I put out? Or if he had an extra 5 minutes at the park? Or that he wanted another apple after already eating 2? Or that he wants to spread his own butter? The answer most times is no, it doesn't really matter, it was just us getting cross because he wouldn't do 'as he's told' or him going into meltdown for something really silly. Most of the time we say no because it takes longer for him to do these things instead of us, but throw a tantrum into the mix and it takes even longer! So whilst we were away we tried a few new methods to try and stop the strops which we are continuing and so far we've only had 2 tantrums in the last 2 weeks. 1. Keep T busy, a lot of his strops occur when he has to have the iPad or TV etc switched off, we've now found that setting a boundary and an alarm for when the device needs to be switched off is working better. 2. Turn a potential strop into a game, in Bluestone T was a little monkey when it came to walking up to the adventure centre, swimming pool and car park, once or twice a strop was averted by one of us carrying him. Then on the last day (grrrrr) a miracle happened. I inadvertently created a game called 'chase the superhero' where I was the joker, T batman and The Hubs Robin, I had to chase them up the hill whilst avoiding their laser rays (or something similar!) this worked a treat, I don't even think that he noticed he was going up the hill! This little diversion tactic worked so well! 3. Another issue area was when T was asked to come out of the pool after over 2 hours in there, this resulted in the mother of all tantrums lasting well over an hour. The next time we saw this on the cards we set some boundaries again, we will stay in the adventure centre for half an hour (set a timer) and then if you come out with no fuss you can come again. If you whinge and cry we will still go back to the lodge but you won't get to come tomorrow. This actually worked! We didn't even need to carry this one through, but I know that we would have had to. So I'm sure to only use a threat that I will carry out. We continued to use this each day and it worked every time. 4. Spend time with T, this week going back to nursery brought on some hissy fits, although he loves nursery and seeing his friends, sometimes being with his Mummy and Daddy is more of a pull. Tuesday we suffered with this more than ever with a good half hour tantrum and not wanting to go, to try and get through this one, The Hubs promised T that he could come to our work, which he loves to do, so I'm taking him along to work on Friday as a reward for sorting himself out. 5. Know when to throw the towel in, some situations are just not worth the trouble, for instance does it really matter if he wears wellies to nursery or wants to wear different pants/socks/t-shirts to those you've set out. I've been giving in to these and that's really preventing the meltdown and making us both far happier in the mornings. 6. Tiredness, we cut T's naps at Christmas in the hope of him sleeping better through the night, well he's not really sleeping much better but he does go to bed earlier and so give us back our evenings. Like most children (and me!) T gets really grumpy when he's tired so when he's having a lull rather than expecting him to work through it, we suggest a game or an activity or playtime and spend time with him, often he gets through the funk without any fuss, it's just a bit more attention and effort for us. 7. Cutting out sitting watching TV, the TV does not go on unless there's something we want to watch, this was quite a new thing that we have got into to, but just lately Nicelodeon has been playing in the background whilst we do our thing, this is such a distraction for T as he always wants to watch if it's on, so now it doesn't go on and he has his viewing time in a much more controlled way. 8. Allow more freestyle activities, I do a lot of craft and learning activities with T, he likes to be kept occupied and these are an ideal way we can add some variety for him, but I must remember to let him be a 3 year old, why say no to building a den for him to have his lunch in? Does it really matter that he's mixed all of his paints into a big brown muddy puddle? Of course not, allowing him to express himself is far better for him and a big learning curve for me. This is one area I need to work on as stupidly I get very anxious about things like this and need to let those go for the sake of my son. 9. Co-sleeping, this is actually one which The Hubs suggested, neither T or I sleep well, however, he does sleep far better in with us, so The Hubs suggested that when he does wake in the night, if he resists settling straight away, avoid the early hours tantrum by bringing him in with us, this works 100% sadly I was listening too hard to other people saying that you shouldn't co-sleep and that its a bad habit, your child needs to learn etc. The fact is I was getting exhausted, T was getting very upset and it really wasn't good for our family. Now, we are all getting more sleep and so things are better for us all, and at what cost? Nothing! 10. Bedtime routine, we'd got into a great bedtime routine, but The Hubs being ill and then being at Bluestone everything has been knocked out, this is one we are really going to be concentrating on next week, having some good quality 'in-between' time then T going to bed on his own, by restricting his TV viewing it does mean that he looks forward to his 'telly time' half hour before bed, I know some people gasp in horror at children watching TV before bed, but it works for us and gives T a nice reward and reason to be on his own upstairs when he really wants to be with us. So that's what we are trying to do to prevent meltdown situations, what do you do? I'm a big fan of countdowns before changes and letting kids know what is happening in advance so they can prepare. I also like to give choices: eg We can leave the park now and play for 10 minutes at home or we can leave in five minutes and not play. I think sometimes kids need to feel like they have a little more control. Great list. Agree with everything you say and we have to use the countdown timers for the iPad of before leaving somewhere we give warning of 5 minutes, 2 mins then 1 min. Really helps with the transition and avoids meltdowns.